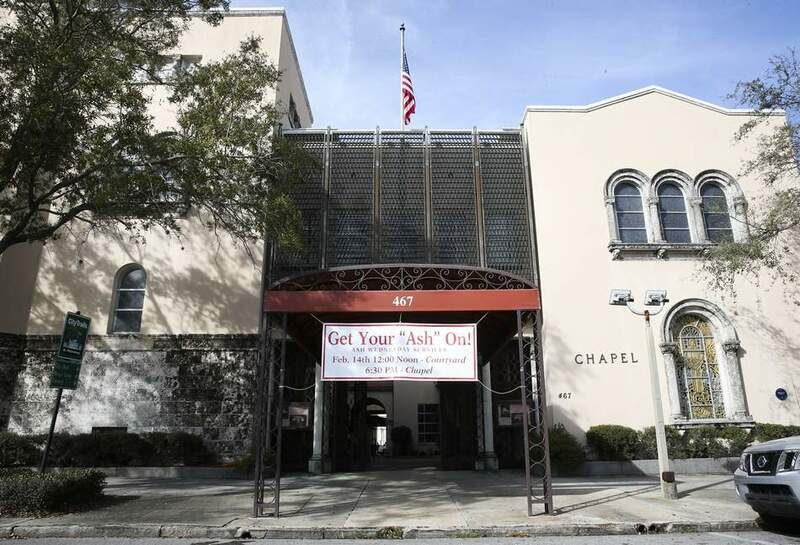 ST. PETERSBURG — A downtown congregation has agreed to sell a portion of its prime property to a Connecticut developer. Christ United Methodist Church said it has signed a contract to sell its parking lot at First Avenue N and Fifth Street to Miles River Development for $5.65 million. The developer could not be reached for comment, but church leaders say they believe there are plans to build a mixed-use tower on the little more than half-acre lot. In an area zoned for mixed-use, the property is in the city’s downtown core district, which allows the highest densities and building height. Elizabeth Abernethy, the city’s zoning official, said there is no height restriction, but buildings more than 158 feet above mean sea level require an airport obstruction permit to verify that there are no airspace safety hazards. Buildings more than 375 feet high require a public hearing, she said. For Christ Church, the contract provides a major thrust to the Rev. Jacqueline Jones-Smith’s plans to shore up the historic downtown congregation’s finances and expand its ministries. "The signing of this purchase agreement is a milestone event. It represents over 15 months of intense effort by our business development group and all of us working together," she said, referring to the required congregational vote and assent of its overseeing bodies of the United Methodist Gulf Central District and Florida Annual Conference. Jon Wittner, managing director for KW Commercial Tampa Bay, which had the listing in the booming downtown market, said late last year that nearby properties were selling for $6 million to $9 million an acre. Alan DeLisle, the city’s development administrator, said the agreement to buy the 0.65-acre parking lot near City Hall is another testament to the strength of St. Petersburg’s economy. "It’s saying that the market is very appealing to development and development is driven by the demand for office space, more retail space and more residential space,’’ DeLisle said. "We had a very good year last year with our job creation numbers. We had 3,000 net new jobs in St. Petersburg between 2016 and 2017. That was one of the best job creation numbers St. Petersburg has had in recent years." "We are seeing an unprecedented demand for office space and developers are beginning to respond to that. And the church site is a great site, right in the middle of everything." Jones-Smith, a former lawyer and chairman and commissioner of the U.S. Consumer Product Safety Commission, was hired in July 2016 to revive the struggling church and has been focused on tapping into that potential. She established a "2020" plan for the church and created a business development group that includes Bob Stewart, a former Pinellas County commissioner and St. Petersburg City Council member. The group spearheaded the sale of property, part of which the congregation had once talked of turning into an urban garden. "This is an out-of-the-box move for an older downtown church to take," Stewart said. "I think maybe it was a bold move, but I think it is going to pay great dividends for downtown and the growth of the church." The sale comes with other benefits, Jones-Smith said. "Not only do we get revenue from this, we will get sufficient parking, which is critical to a downtown church," she said. "We will have parking for our Sunday services and also parking during the week. It is critical to growth and sustaining the ministry." The church will get 150 parking spaces on Sundays and 30 Monday through Saturday in perpetuity, Jones-Smith said. The real estate deal will also allow Christ Church to create new ministries and expand and restore old ones such as its laundry ministry, which offers quarters, prayers and other assistance at coin laundries. Jones-Smith also plans to restart the church’s after-school arts program called JAM, or Jesus, the Arts and Me. The church also will now have money to revamp its large campus and lease some of its space, said the pastor’s husband, Joshua I. Smith, who served on such boards as FedEx, Caterpillar, Allstate Insurance and the U.S. Chamber of Commerce and chairs the church’s business development group. The sale will not be complete for about 90 days, pending due diligence by the buyer. "Once that happens," Smith said, "we can be more focused on growing the church and really be a stakeholder in the business community in St. Petersburg."